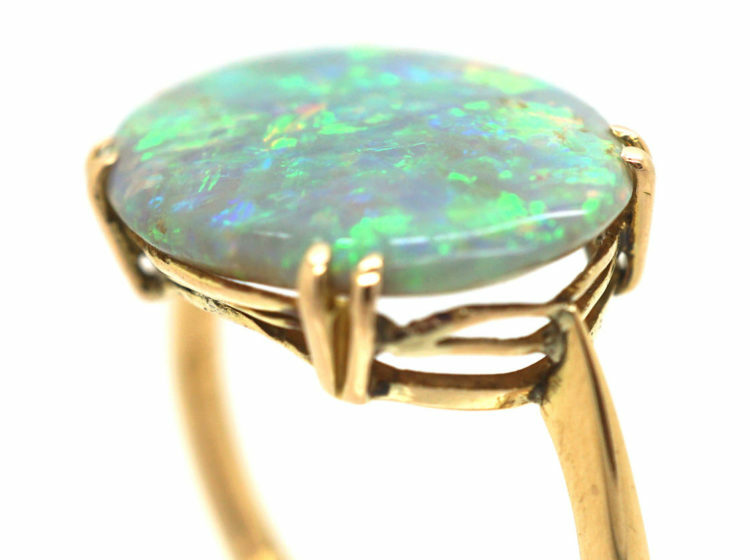 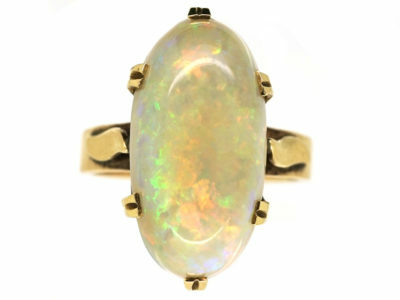 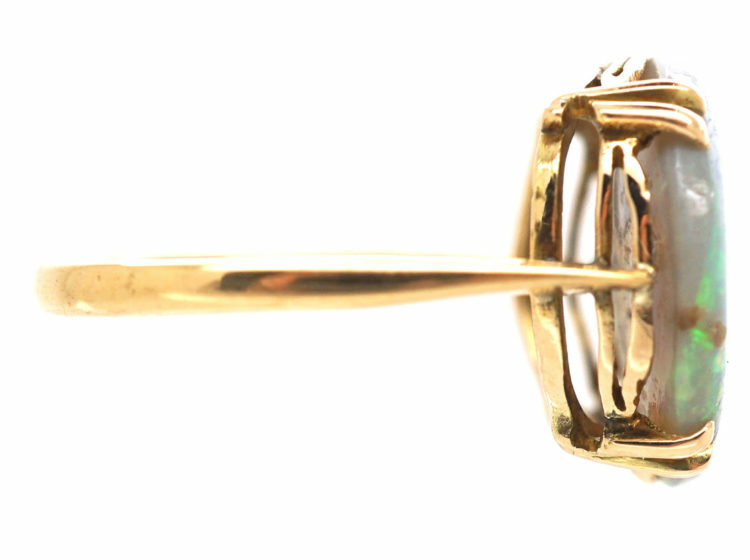 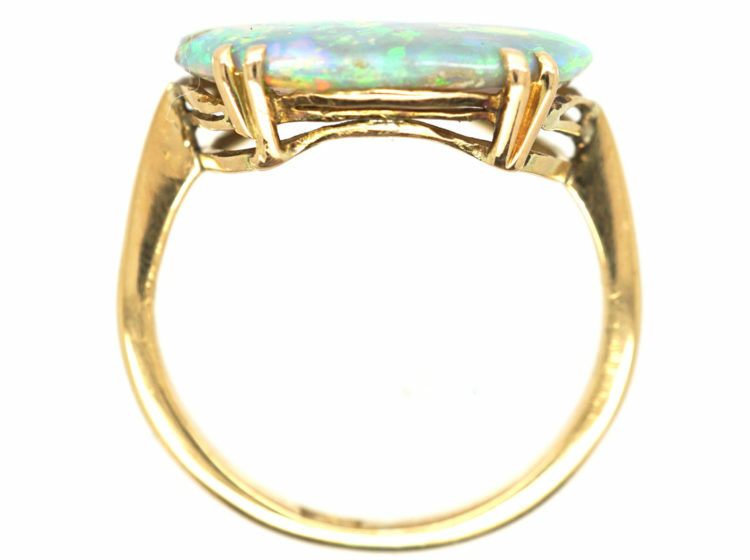 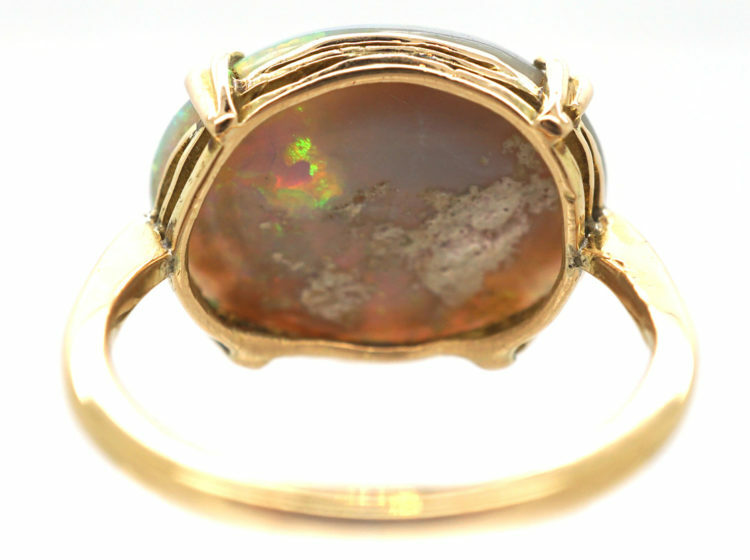 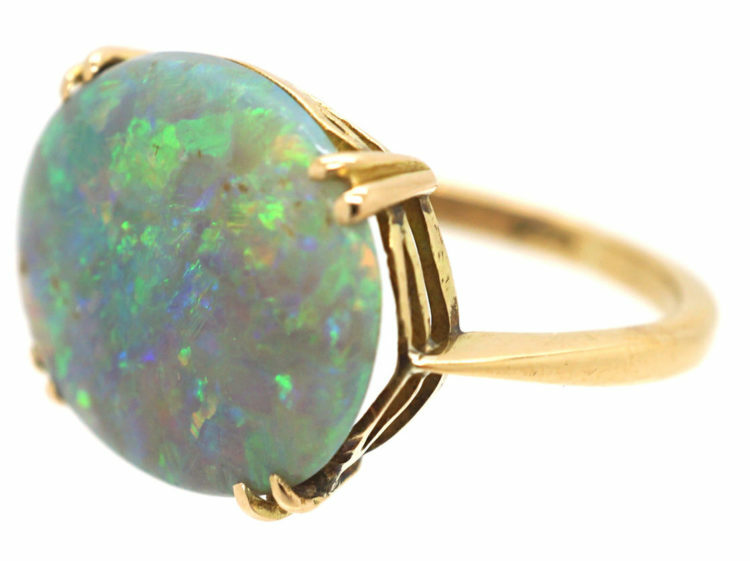 A very striking 18ct gold ring set with an ovalblack opal. 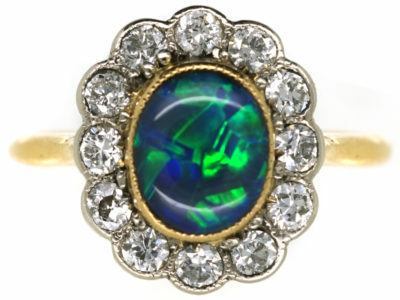 It displays wonderful flashes of brilliant green andred with an overall blue ground. 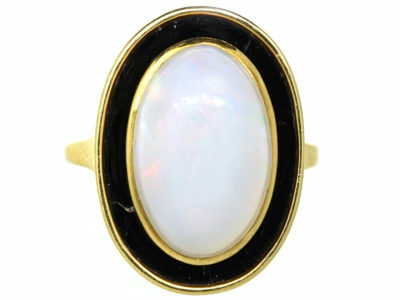 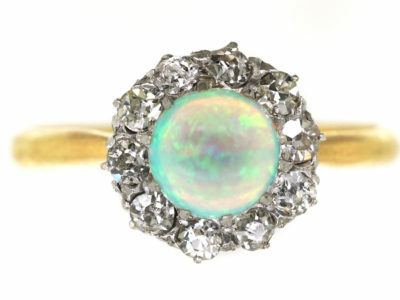 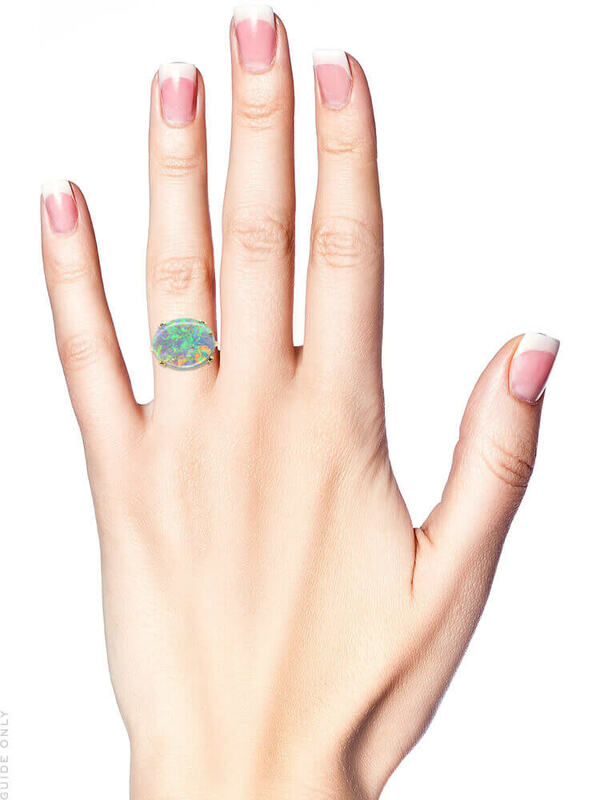 Black opals are the most desirable opals. 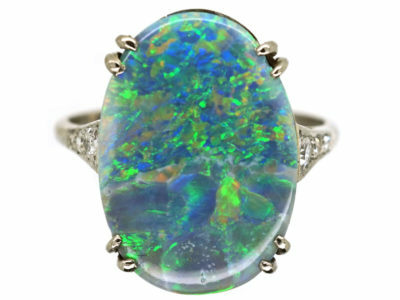 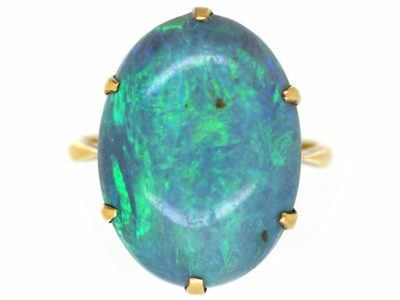 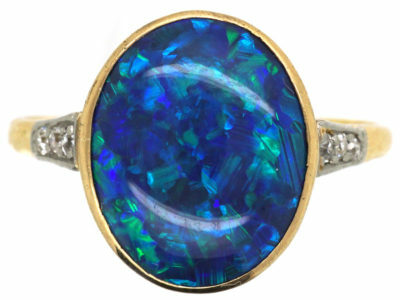 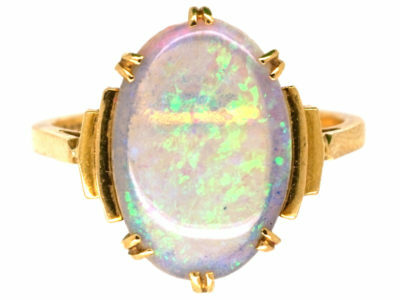 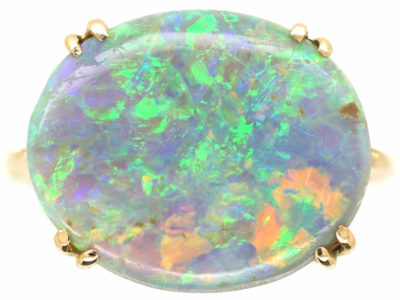 The first recorded black opal was found in Lightning Ridge, Australia in 1873. 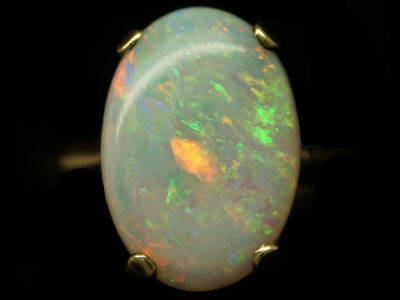 It is the only place where black opals are sourced. 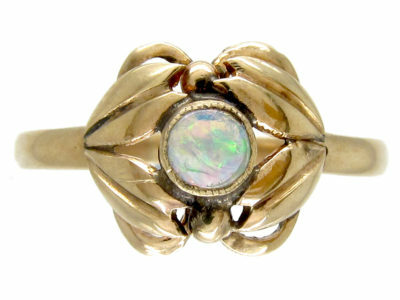 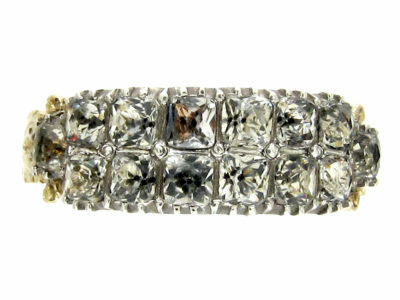 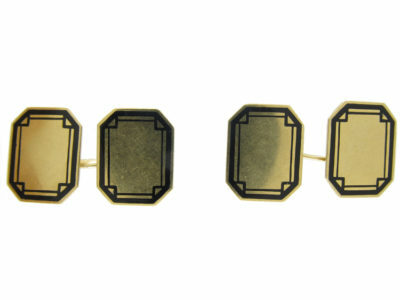 This ring was made circa 1920-1930.